Angenette Levy joined WKRC-TV in July 2010 as a reporter for the Tri-State`s top-rated morning news program, Good Morning Cincinnati. You can watch her stories on Local 12 News at 11pm and Local 12 News at 10pm on Star 64. Angenette knows the station well. She grew up watching Local 12 and worked here as a writer, associate producer and assignment desk assistant from 2002-2004. 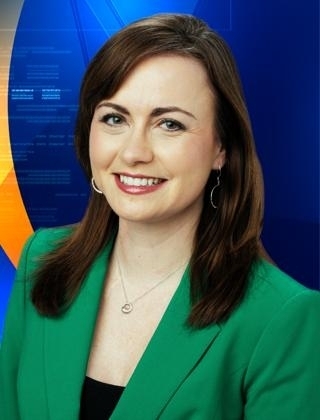 In 2004, Angenette was offered and accepted a reporting position with WFRV-TV in Green Bay, WI. Just two days after Christmas she moved to Wisconsin and experienced the longest, coldest winter of her life. For five and a half years, she encountered cheese heads, learned about local traditions such as sturgeon spearing and made a sport of trying to stay warm. Angenette covered everything from politics and local government, to features and high profile trials ” most notably the murder trial of the first man in Wisconsin to be exonerated of a wrongful conviction by DNA testing. She broke several stories on that case including exposing the defendant`s violent past through an investigation into his prison records. Though Angenette enjoyed her time in Wisconsin and met many wonderful people who became friends, she was excited to return to Cincinnati in 2010. Angenette is a graduate of Turpin High School in Anderson Township and holds a B.A. in Communication from the University of Cincinnati. In her spare time, she enjoys reading, running, yoga, playing piano, hanging out with friends, family and her pets. She also enjoys an occasional round of golf (she has a mean swing but a high handicap!). She currently volunteers at the Cincinnati Association for the Blind and Visually impaired by reading Oprah Magazine on the organization`s radio station. She has also volunteered for Big Brothers, Big Sisters and the Salvation Army.